Antitumour chemotherapy is nowadays a very active field of research, and a huge amount of information on the topic is generated every year. 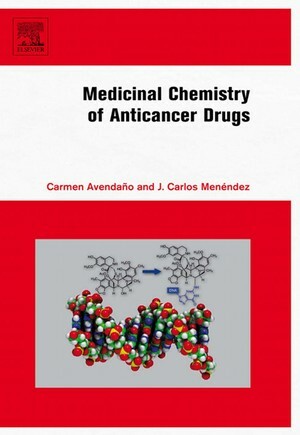 Although many books are available that deal with clinical aspects of cancer chemotherapy, this book addresses the need for an updated treatment from the point of view of medicinal chemistry and drug design. Cytotoxic chemotherapy is gradually being supplemented by a new generation of drugs that recognize specific targets on the surface or inside cancer cells. These therapies are in their infancy, but they hold promise of more effective therapies with fewer side effects. Resistance to antitumour drugs is another important but normally neglected field.The focus of "Medicinal Chemistry of Anticancer Drugs" is on the mechanism of action of antitumour drugs from the molecular point of view and on the relationship between chemical structure and chemical and biochemical reactivity of antitumour agents, aiming at the rationalization of the action of this type of drugs, which would allow the design of new active structures. It presents information in a clear and concise way using a large number of figures. Historical background provides insights on how the process of drug discovery in the anticancer field has evolved. It offers extensive references to primary literature.